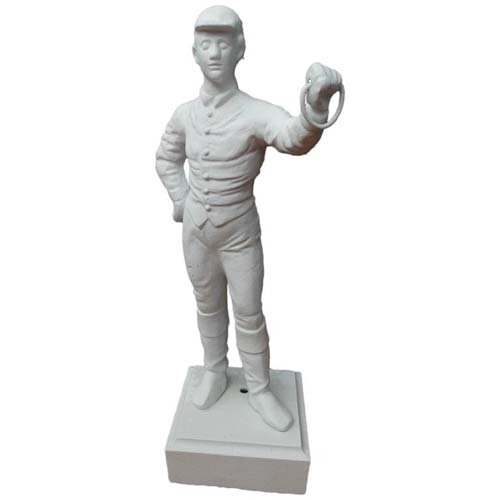 This is an American cast iron jockey, that has been sand blasted and painted only with a white primer. This will allow the jockey to be painted in the color silks of your choice. Also in inventory and being sold separately is another cast. Iron jockey with original paint.